Granco Stone Masonry Ltd has been in business since 1994. Our main focus is high end residential custom stone projects. We believe in working with the client to achieve their vision. We work with the architects, engineers and general contractors to figure out design, structural and interface solutions. Our goal is to work as a team with everybody involved to streamline the project. Top quality and efficiency is always our first priority. We have a large team and our top four Stonemasons all bring over 25 years of expertise to the projects. All of Granco's Stonemasons and apprentices have been trained in our company by our top Stonemasons. Our quality and positive attitude runs consistently though our entire team. 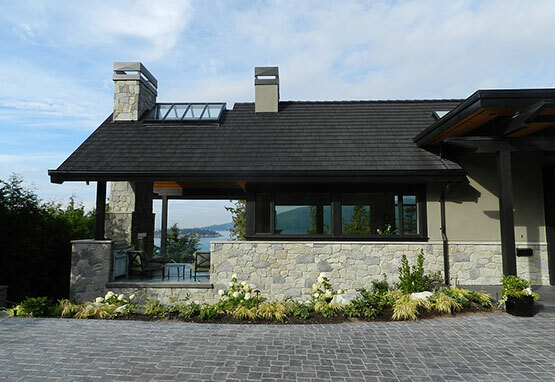 We are known for working on some of the most difficult projects in Vancouver. References can be supplied upon request. Granco Stone Masonry has been in business since 1994. Our main focus is high end residential custom stone projects.